If I asked for a show of hands for how many of us looked forward to the day we would say “goodbye” to our friend, The Double Breast Pump, I think there would be a sea of hands popping up! But if I followed this up with the question, “How many of us were incredibly grateful for our double breast pump?” I think just as many hands would go up. Mine certainly would! Let’s face it. Pumping can be tedious and annoying (I pumped at 4 am for nine months – long after my trio were sleeping through the night). But the resulting liquid gold is well worth it! Certainly one can hand-express or pump one breast at a time (especially helpful to stimulate a letdown while Baby is nursing on the other side). But a double breast pump can come in handy more often than not. Faster: If one works outside the home and is pumping for Baby, using a double breast pump will cut their pumping time in half! This is also beneficial for a mom with older children—she will be available to her children much more quickly than if she pumps one side at a time. Multi-task: As a busy mom, it is super helpful to be able to multitask, and the double breast pump makes this possible. Instead of holding the pump to one breast and having only one hand available (if that), I accomplished countless tasks during my pumping days. I wrote blog posts, did research, ate a million meals, and so many other things that these sessions provided me with the time to do! Love on baby: While related to the above, I think this is worth it’s own point. With a double breast pump, your hands are freed up to hold Baby, feed Baby, play with Baby, soothe Baby, etc. This may be the best advantage of all! 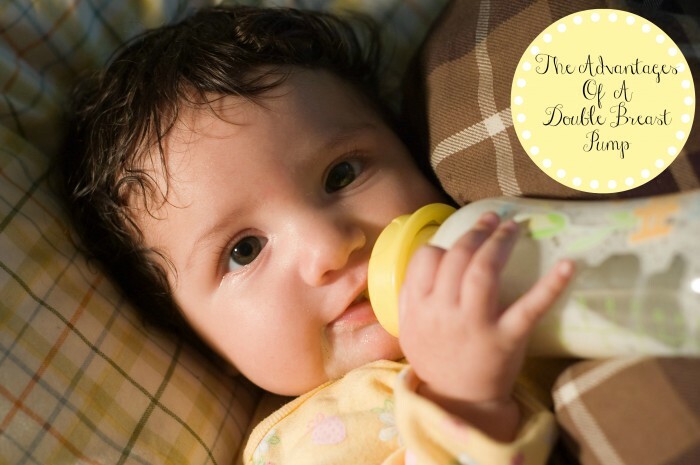 A break: When using a double breast pump, you can force yourself to take a break. It doesn’t always work out to be a break, but when it does it can be so helpful to recharge mentally and physically—all while pumping that liquid gold for Baby! Hands-free bra: Now, you could certainly spend $40+ on a commercial hands-free bra…or you can make one! I bought the cheapest padded bra I could find (approximately $7), placed the flanges on my breasts and aligned the flanges with the bra. I then cut holes for the flanges and voila! Now all of the above advantages can fall into place! Quiet location: Ok, ok, I know there’s really not too much about “new baby” that equals “quiet location.” But as much as possible, attempt to find a quiet spot in your home where you can relax and facilitate more frequent let-downs as you pump. 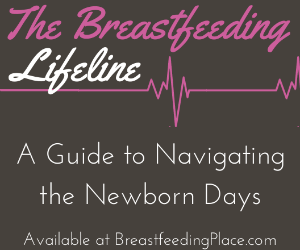 New tubing: You never want to use the tubing from a friend’s borrowed double breast pump. (And actually, unless it’s a closed system, it’s really not a good idea to borrow anyway. 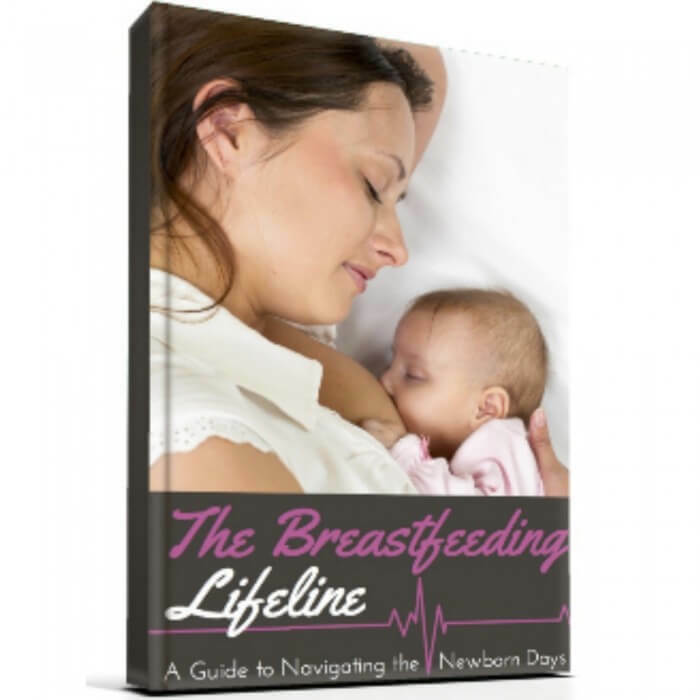 Commercial-grade breast pumps are intended to last the length of one child’s breastfeeding relationship—not your child’s, as well.) Who wants to go through all the work of pumping only to find out the breast milk has been contaminated from dirty tubing? Yech. Snacks: Some may not consider this essential, but if you think about it—it really is! Your body is working in serious overdrive to produce all this milk it’s pumping and needs to be fed! And please, don’t worry about counting calories or eating “low-fat.” What you and Baby both need are those full-fat snacks: cheese, milk, meats, avocados, nuts, etc. 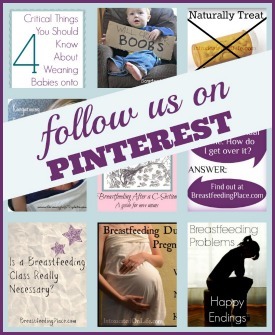 Clearly, a double breast pump is immensely practical and serves both mom and the whole family! 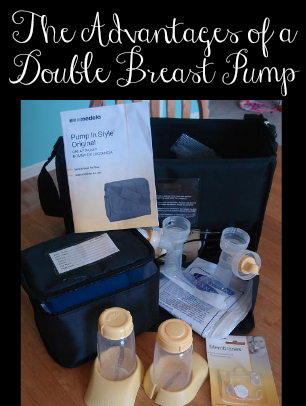 What other advantages have you experienced using a double breast pump? Thank you, thank you, thank you for the homemade pumping bra tip. I was SO not gonna spend $40 on a pumping bra, so I have not been able to be hands free. Absolutely essential for the working mother, I think. Also, remember that most insurance should now cover a pump AND most employers must provide you with a private space to pump that is NOT a bathroom AND give you the time needed to pump. I know there is a lot of controversy around the Affordable Care Act but I cannot tell you how happy I am that I did not have to pump in a bathroom! It’s not completely hands free but I’m typing this on my phone as I pump so enough for me. I took two hair rubber bands and looped them together. I put one around the flange and the other on the hook on my nursing bra/cami to hold the bottles in place. I found the idea on the web. It would be a great backup for when you don’t have the bra. I also forgot bottles one time and used extra rubber bands to attach storage bags to the flange/valve set up. Wasn’t sure it would work but it did! I’m going to have to look your system up – sounds like a great idea!! Thank you for sharing.